Nail polish is formulated to last. It’s hard wearing and durable. It contains a blend of ingredients ranging from dyes and adhesive polymers, to thickening agents and nitrocellulose – a particularly resilient synthetic compound. Spill it accidentally onto your pure wool or acrylic carpet, and you’ll be hard pressed to lift the stain. 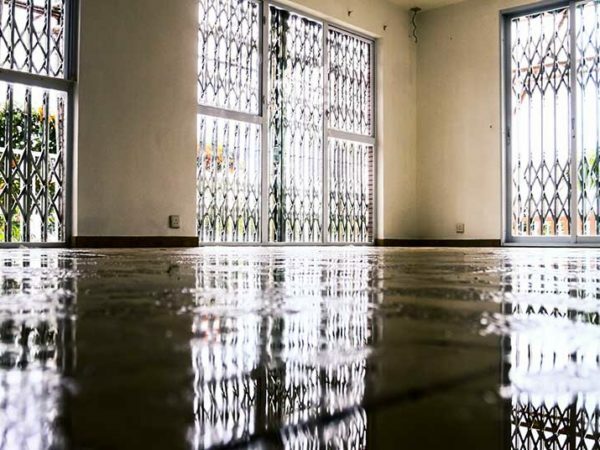 In fact, there’s no guarantee you’ll get your floor covering back to its original condition. However, there are ways to contain the damage, provided you act immediately. Allow the nail polish to dry, and the odds of removing all signs of the spill are, unfortunately, quite low. The sooner you mop up the residue, the better. If it’s a major spill, use a knife to skim the polish off the surface of the carpet. Alternatively, use a clean, absorbent cloth or paper towel to blot and absorb as much of the mess as possible, working inwards from the outside of the spill. 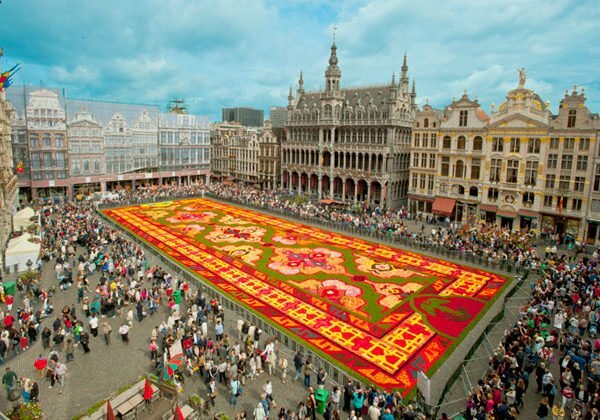 Avoid using a scrubbing action or you’ll spread the spill and end up forcing the polish deeper into the carpet pile. Once you’ve removed the bulk of the wet nail polish, you can attempt using one of three DIY cleaning solutions – acetone, hair spray and rubbing alcohol or window cleaner. Before you proceed though, test the solution on a small, hidden area of the carpet to make sure it doesn’t bleach or damage the carpet fibres. 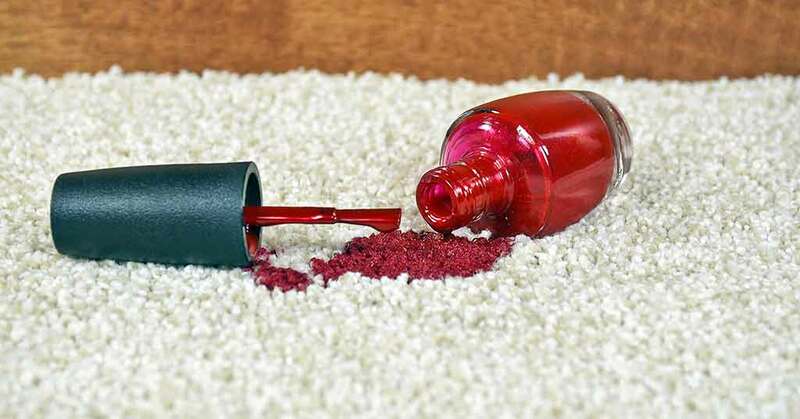 Acetone is a solvent that’s capable of breaking down or dissolving the different ingredients in nail polish – but unfortunately, it can also damage fibres and corrode the polypropylene backing of the carpet. You can use it at a push (sparingly), but if you have a choice, opt for a clear, fragrance-free, non-acetone remover instead. To apply the polish remover, simply saturate a corner of a clean cloth and blot it onto the stain. Ensure you do not soak the area, or nail polish dissolved in the solution could spread and leave a residue. Once you’ve applied the polish remover, use an absorbent towel to blot it up. Then repeatedly spray the area with water, blotting up between each application until all the dissolved nail polish has been lifted from the carpet. If you’re lucky, the stain may be removed completely. However, there’s a chance that some residue will remain, albeit less visible than the original stain. Hair spray includes ethanol, which is a solvent. Similarly, rubbing alcohol is an ethanol-based liquid. The best way to use these ingredients is in tandem. Simply apply the hair spray directly to the stain, and then drizzle rubbing alcohol into the mix. Use a scrubbing brush to agitate the solution, and keep on adding clean water until the nail polish softens sufficiently to blot and absorb with a damp cloth. A combination of hair spray and rubbing alcohol has the same effect on nail polish as acetone. 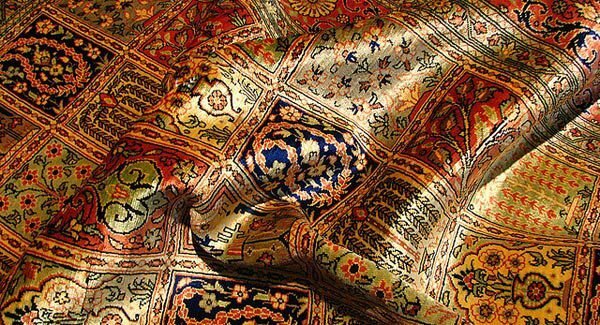 There’s a chance that the residue will leave a permanent stain on the carpet, albeit comparatively light and unobtrusive. Window cleaner is made up of powerful solvents such as isopropyl alcohol, ammonia and ethylene glycol monobutyl. All have the same dirt busting qualities as acetone, hairspray and rubbing alcohol. Many swear by window cleaner, finding that it removes nail polish spills more effectively and with less residue than nail polish remover. Simply apply the window cleaner, soaking the spill area. Then blot with an absorbent cloth or towel, spray with water and continue blotting. 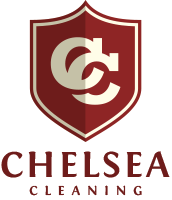 At Chelsea Cleaning, we can’t offer miracles – but we do offer professional cleaning of all types of carpets and rugs, using expert techniques and the latest carpet cleaning formulas.